The Linked Heritage project aims to help European museums make their digital resources available on Europeana. One of the major goals of this project is to facilitate access to formal representation of knowledge for non-experts of Information Engineering and Linguistics. To meet this challenge, the Linked Heritage project aims to provide user-friendly website to create, manage and map thesaurus. This website provides the user – European culture related organization – the ability to import their thesaurus, modify them and map them to any other already imported thesaurus. 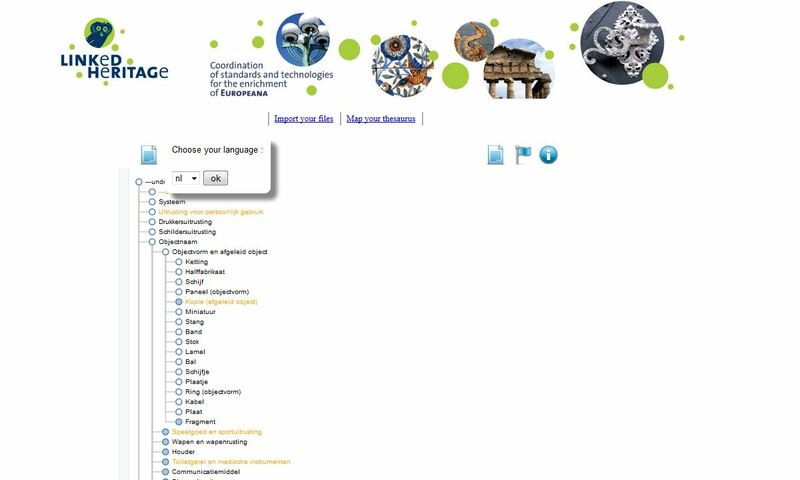 Once the critical amount of imported thesaurus is reached, the website detects similarities and automatically suggests maps.